Located in the heart of the Cape Fynbos kingdom, Stonehurst is home to a wide variety of indigenous flora & fauna and offers discerning homeowners the opportunity of being close to nature in a contemporary, family-friendly, very secure environment. Striking a seamless balance between ecological sensitivity and meeting the modern-day lifestyle needs of residents, the estate is interspersed with footpaths, parks, streams, lakes and riverine areas, whilst a Lifestyle Centre provides residents with contemporary facilities, including a Functions Lounge, Bar, Games Room and fully equipped Gym. 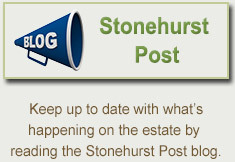 Offering three residential formats, the estate comprises; Stonehurst Close – a group scheme of 30 properties surrounding a children’s play park; Stone Village, also a group scheme, comprising 82 residences for lock-up and go living, and nearly 200 individual residential erven with beautiful views of the Constantia Valley, False Bay and the mountains of the Table Mountain National Park. Combining contemporary design with a fervent passion for safeguarding the natural environment, Stonehurst appeals to nature lovers as well as those who enjoy living near to a major urban metropolis.